However the situation arises, bad credit* does not necessarily signal the end of the road for car shoppers. In fact, the good news is that there are many qualified buyers with poor credit who are taking the wheel with the help of financing. And they can enjoy a lot of the same conveniences as buyers with better credit, such as pre-approval. 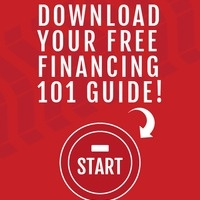 These are useful tools designed to make estimating what you can afford easy. Looking at the big picture a budget calculator helps gauge where a car loan payment may fit into your finances. It enables you to enter your monthly expenses to get an idea of what’s left for an auto loan payment. Sometimes we see things we want and immediately establish a goal to get it. However, when it comes to finding a vehicle when you have less than perfect credit, allowing the Dealership to pull credit is the best start. It allows us to see what is needed to get you approved before we start looking at vehicles that may not adhere to the banks guidelines for a Low credit auto loan. Knowing what you can and cannot afford has to be a judgment call from person buying the vehicle. When we know what types of vehicles we can get you approved on, we can then show you the payments making it easier to decide which vehicle to go with. APR and loan term are closely related in these calculations and to how your auto loan may take shape. APR includes the interest rate to be charged on the principal loan amount (the sum borrowed to buy a vehicle) and any transaction fees that are rolled into the loan. Together with the loan term, APR will affect the size of your monthly payment as well as how much you pay for the car in total over the life of the loan. A car buyer’s APR may be affected by a range of criteria, such as credit history, current interest rates, competition, market conditions and special offers, according to the Federal Trade Commission (FTC). By changing the length of the loan term on the auto loan calculator, with APR unchanged, you will see how it affects the monthly payment. A longer loan term, with a greater amount of time to pay back the loan amount, reduces the monthly payment in the calculation, while a shorter loan period results in a higher monthly payment. Depending on the APR, you may end up paying more for a vehicle over the life of the loan with a longer term, when interest charges are taken into account, than with a shorter term. Both loan term and interest rate are often negotiable for qualified applicants. When financing a car with bad credit, a down payment or trading in your current vehicle, or both, might help your position. Each may lower the principal loan amount required to purchase a car, and show a lender looking to assess a bad credit risk that you are committed to the deal. A cosigner may have a positive effect on a car loan application for a consumer with bad credit too, and could be a requirement from the lender in some cases. By signing an auto loan contract with you, the cosigner agrees to repay the note should you fail to do so, making any missed payments or even paying the loan amount in full. The CFPB provides more information about choosing an auto loan cosigner and the effect that cosigning a loan might have on the credit of both borrower and cosigner. Consumers who have been through bankruptcy or have no credit experience may think auto financing is off the table, but there are lenders, such as local banks, that accept applications from consumers will all types of credit. A down payment, vehicle trade-in and cosigner are some of the elements that may strengthen an auto loan application in these situations. By running the numbers on a potential loan, you will have an estimation of the financing that’s right for you and what kind of vehicle you may be able to afford. When choosing a vehicle, car shoppers with bad credit might think about opting for used over new, and an older model rather than a later one. Everyone’s automobile needs and preferences are different, and if fuel economy is a factor for you, a Fuel Savings Calculator is a helpful tool to work out potential expenditure on gas for one vehicle compared to another. It’s quick and easy to apply and you can do so from home, work or your mobile device. Qualified applicants can get preapproved, empowering them to shop with the confidence of a cash buyer. Preapproval means searching for a vehicle at the dealership already knowing the terms of your loan, including the amount, APR and loan duration. If you have any questions about our Bad Credit loans our Finance Managers are available to help by phone, chat or email. 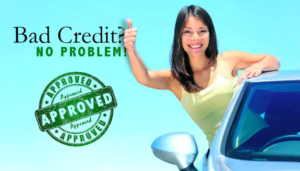 Buying a car with bad credit is about what’s right for your situation. Miller Auto and Marine is a reputable dealership with many years of experience, which accepts applications from people with all credit profiles. We prepare multiple offers for qualified applicants based on their unique car-buying needs.